A wandering monk took in Shifu Lew, as an orphaned boy living in Canton, from the Wong Lung (Yellow Dragon) monastery, a Taoist temple famous for its Kung Fu and medical/healing/herbal knowledge. Traveling on foot for months with this monk, the young Share K. Lew was brought to the monastery which would become his home on the top of the sacred Luo Fu Shan mountains, a special ecological niche where a variety of rare herbs and animals flourished. There were a total of five monasteries in the mountains, four Taoist and one Buddhist, Wah Sha Toi, where southern Dragon Style Kung Fu originated. Wong Lung Kwan, at the top of the mountains, was built of massive stone, including a pavilion where people in need of healing could petition the monks of Wong Lung for help. Also unusual was a sister cloister, a convent where women learned and practiced their healing arts. After an apprenticeship of several years of menial work, he was accepted, initiated, and taught a full range of Taoist skills, including exercises for health and longevity such as internal chi gung (which Sifu prefers to call by its older title, Nui Gung), Kung Fu, herbal medicine, Gee Liao (the ability to project ones chi), Tui Na massage, and his specialty: thorough and rapid healing of tendons, joints, muscles, and bones, as well as injuries caused by trauma. His monastery style, Tao Ahn Pai (Taoist Elixir Style) is traced in unbroken lineage back over 1,300 years to its founder, Lui Don Bin, one of the eight Taoist immortals. Shifu lived and studied at Wong Lung Kwan for 13 years. He left the monastery in 1948, shortly before the Communist revolution and moved to San Francisco, where he remained inside the Chinese community for several years and studied Kung Fu with his uncle Master Lew Ben, the 6th Grandmaster of the Hung Sing style of Choy Li Fut. In 1959, Shifu Lew accepted his first non-Chinese student, and in 1970, broke with tradition and became the first to openly teach the internal cultivation (Chi Kung) to non-Chinese. In that year, he and the late Khiegh Dhigh, a television actor and I Ching scholar, formed the Taoist Sanctuary in Los Angeles, the first Taoist religious organization founded in the United States to receive federal status as a church. During this time, he switched from teaching Choy Li Fut and began to teach Tao Ahn Pai kung fu which he had learned in the monastery. 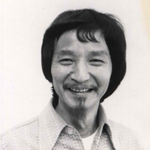 In 1979, Shifu Lew moved to San Diego, seeing people for health appointments, teaching small or private classes, and traveling to teach students in workshops around the United States, in places like New York, Florida, Philadelphia, Esalen, Honolulu, San Francisco, Ojai, Los Angeles, St. Louis, Florida, Burbank, Philadelphia, New York, as well as Tokyo, Japan and Tijuana, Mexico. In the United States is an unpublicized treasure, a treasure in every sense of the word. Living simply and quietly in the San Diego area is an authentic, temple-trained Taoist priest (formerly a monk) from the famous Luo Fu Shan mountains in Guangdong Province, north of Guangzhou (Canton). His name is Share K. Lew. Grandmaster Share K. Lew, who prefers the simpler title of Shifu. Gathering to honor him at a restaurant in San Diego will be a panoply of people who are teachers in their own right, students, and students of students, movie and television stars, medical doctors, psychologists, acupuncturists, and others whose lives Shifu Lew has touched in some way. Ten years ago, Shifu celebrated his 75th birthday in a similar manner. Among those attending were honored guests Shifu Doo Wai, Tai Chi teachers Master Wen-Mei Yu of Los Angeles and Hai-min Shen of Monterey Park, and actors Chao-Li Chi and Eric Lee. Notable among the students attending were Shifu Frank Primicias, Shifu Carl Totten, Shifu Doug Wong, Shifu Carrie Wong, Bruce Baptie, Shifu Steven Baugh, Shifu Steve Grody, Shifu Manuel Marquez anthropologist Dimitri Kostynick and Shifu Jason Lee. Our Shaolin Temple had the honors to open the show with the lion dance team for Shifu Lew’s birthday party. from the Taoist monastery of the Yellow Dragon Temple (Huang Lung Guan).